I promise, this will be my last pumpkin post of the year. Wait, I might not be able to keep that promise, we still have the whole month of November to get through. I love all things pumpkin during the months of October and November, just like I love all things eggplant in August. Then the month(s) of my obsession ends and I don't think twice about my past food love until it's designated month rolls around a year later. It's not like I have anything against say pumpkin in January, truth is by the end of November I have eaten my weight in pumpkin and don't care to see it until the following year. 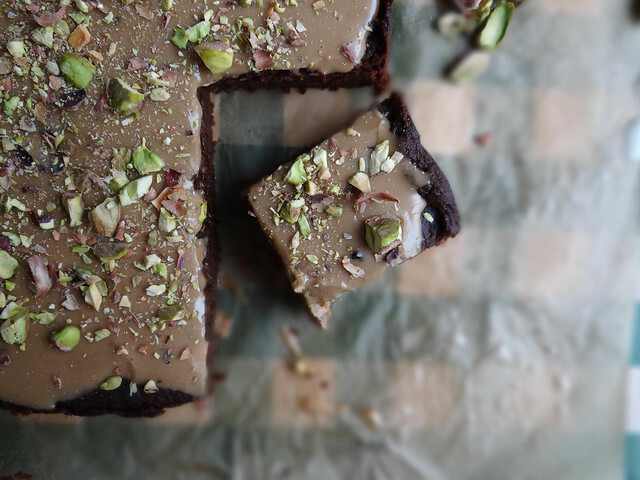 Let me tell you about these brownies- they are super delish and fudgy and it only took me 4 times to get the recipe spot on for you. Justin was so tired of eating brownies, I thought he was going to start chucking brownies at me if I made another batch. The boy loves him some brownies but 4 times in a span of 3 weeks was a little much- honestly one pan of brownies that were a little on the dry side found its way into the trash can. My last batch turned out perfectly, not too moist, not too dry just perfect chocolate brownie goodness. 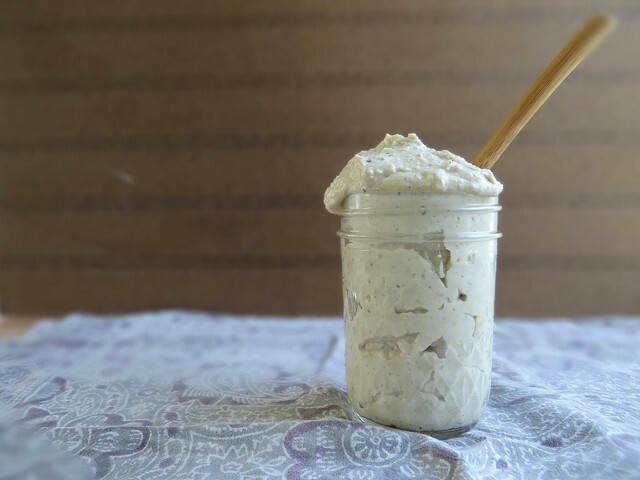 This has been my go to vegan ricotta since becoming vegan (yikes, three years ago!). During the winter months when we are not enjoying a hearty soup or chili we are typically noshing on a big pan of lasagna over the weekend. This has proven to be the most reliable "ricotta" recipe for us, never disappointing and pleasing omnivores and vegans alike. There was one point in time that I thought beer bread could only be made from a box, well actually a lot of baked goods I thought were made from a box. What can I say, I am a product of the 80's and early 90's where convenience food was king. Don't get me wrong, we ate plenty of fresh fruits and veggies, birthday cakes were homemade (the cake being from a box) with my moms homemade frosting. It wasn't until I started baking on my own in my early 20's, that I began experimenting with making baked goods from scratch. 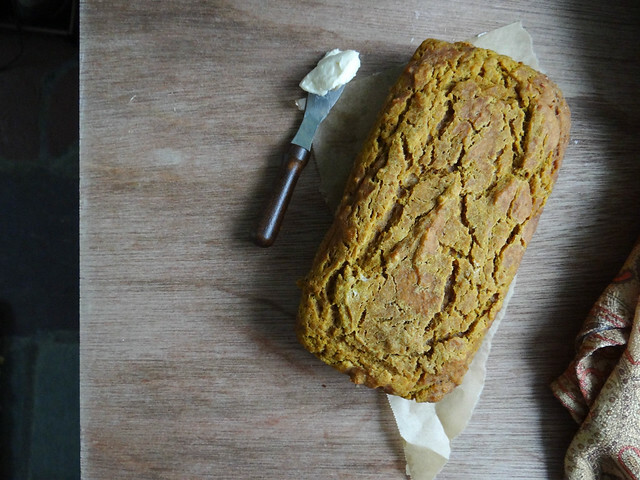 Baking from scratch can seem intimidating at first, you will have some failures (we all do!) but you will also have some amazing baked goods coming from your oven in no time! Wow, it seems like forever since my last post. Traditionally, October is an overly active month for us- between work, family events and the beautiful NH fall weather calling my name, I sadly have not found much time for blogging. Fall is one of my most favorite times of the year - whats not to love about fall? The trees show off their gorgeous jewel toned leaves, the air has a bite to it and comfort food is at its finest. At least once a week, typically on a Sunday afternoon, you will find a pot of soup, chili or stew slowly cooking away on the stove. 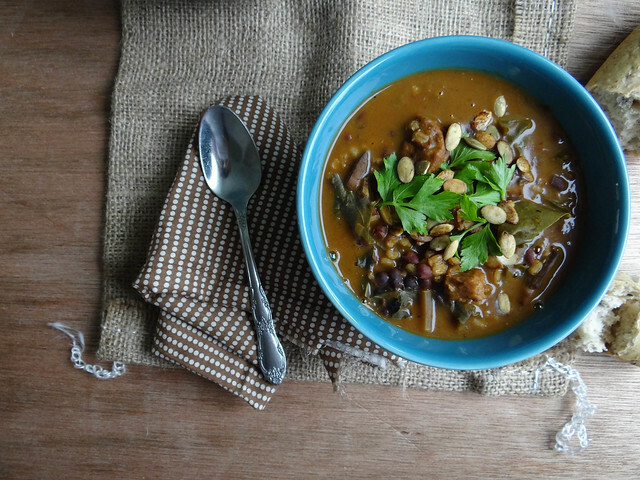 Fall wouldn't be fall without a new pumpkin soup to share. 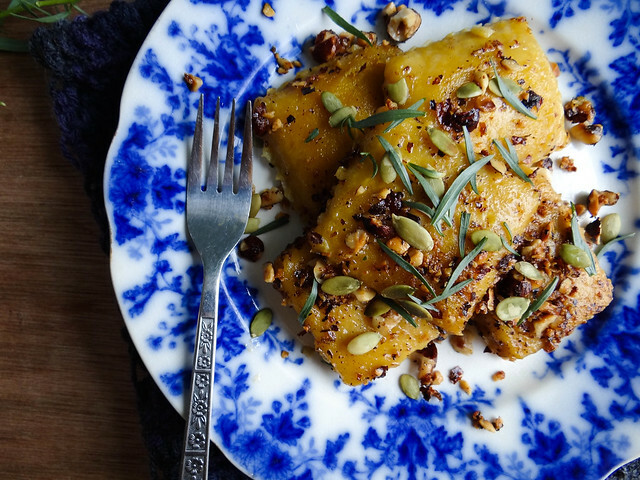 I absolutely love using pumpkin in savory dishes - I actually prefer savory pumpkin dishes over sweet. One of the benefits of growing fresh herbs is the ability to dry them for winter use. Herbs can be grown just about anywhere- they simply need soil, water & light. 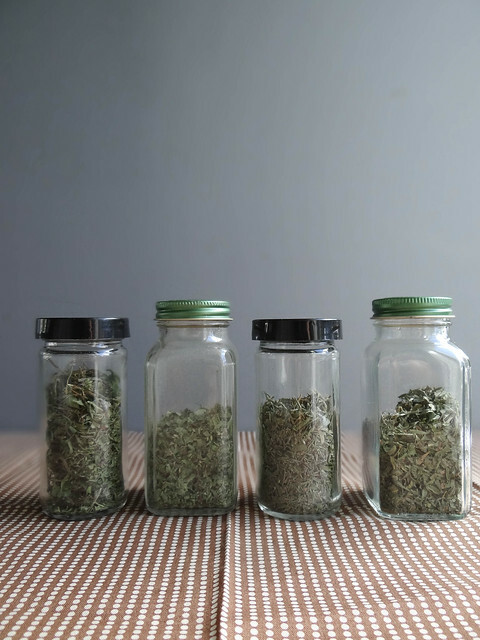 Most herbs require very little attention, which is an added benefit for those that find themselves with less than a green thumb- you will find they are very forgiving. Woody herbs, such as thyme, rosemary & savory I find are the easiest and the most adapt to neglect- they are also the best herbs to dry for winter storage. More delicate herbs; basil, parsley & chives require a little more attention to get going, once they are established you simply have to remember to cut them back once in a while before they go to seed.